Where: MassHire Metro North Career Center, formerly Career Source, 186 Alewife Brook Parkway, CAMBRIDGE, MA, 3rd Floor, in Fresh Pond Mall, near Alewife T Station. Free parking. Cost: $125.00 Materials Fee: $12.00 Total: $137.00. To Register: Go to www.pdcboston.org Early Bird rate: $ 117.00 thru 2/4/19. Limited seating. Becoming a successful manager doesn’t come naturally. 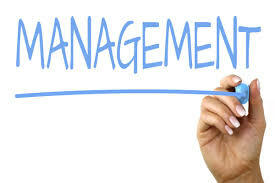 It requires the kind of training in people skills you can’t get in a textbook.Join us for this powerful workshop; The Art of Proactive Management, a way of managing where you take the initiative by responding to, not reacting to, job-related challenges, taking real ownership of the challenges facing managers today. This one-day workshop is jammed full of effective ways to improve your managerial and leadership skills. It focuses on three critical management areas:Setting & Achieving Goals, Holding Your Staff Accountable, and Developing and Retaining High Quality Performers. If you want to get ahead as a manager, you’ll gain the skills you need in this workshop. It’s full of interactive exercises, easy to use tools and techniques, and led by a premier management development trainer.You’ll walk away with tools you can use immediately! PRESENTER: Bob Gonet, Ph.D., (www.drbobcoach.careers) is an Executive Coach & Corporate Trainer for I-empower-U; a company that has a track record of maximizing individual and team performance & productivity, increasing sales, and helping thousands of job seekers land jobs. His experience spans 18 years working with individuals at all levels for top New England firms such as Midas, Staples, Ocean Spray, Sullivan Tire, Talbot’s, Harvard Pilgrim Health Care, and NStar. Dr. Gonet has a Ph.D. and a MS in Counseling and is a graduate of the Coaching Training Institute.